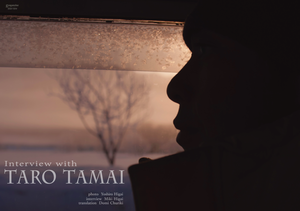 The philosophy of Snow Surfer TARO TAMAI. How can the child's experiences be influenced in the later life, and now you can make the only high-purity board of attention worldwide? In this interview you will probably be able to read. Photographer YOSHIRO HIGAI translated the interview published in editor in chief ZINE (GYOGAN ZINE) to English. Reading is excellent! All snow surfers are a must read. I increased the number of photos more than ZINE. Also a column of photographer YOSHIRO HIGAI is newly added. You can enjoy special articles on TARO TAMAI & YOSHIRO HIGAI! ＊This publication may not be reproduced in whole or in part without the express written permission of Ricoh.